While he may not be the most popular person in Chicago lately, Chicago Blackhawks general manager Stan Bowman sat down with The Athletic’s Scott Powers (subscription required) in an in depth interview, going over the state of the franchise. While Bowman is aware of fans’ displeasure with the recent firing of coach Joel Quenneville as well as the state of the team’s salary cap over the past few years, Bowman said he must remain focused on the present. Bowman did say that although many fans feel that he waited too long to trade the contract of Marian Hossa to Arizona this summer (the trade happened on July 12), but that was the first time that the Coyotes agreed to take on Hossa’s contract. Regardless, fans were upset that the team wasn’t able to use the extra $4.5MM in cap space created by that trade as most offseason work was already done by teams at that point. Bowman said he intends to be patient in using that cap space. Mike Heika of NHL.com writes that the Dallas Stars may be close to getting back starting goaltender Ben Bishop who has been out for almost a week with a lower-body injury. Heika writes that Anton Khudobin is expected to start Tuesday in Edmonton, followed likely be Landon Bow on Wednesday in Calgary. However, the scribe writes that Bishop might be ready for the team’s game in Vancouver on Saturday. Bishop is having a impressive season with a 2.33 GAA and a .923 save percentage in 15 games. Ken Wiebe of the Winnipeg Sun writes that while Patrik Laine knew he’d break out of his 19-game five-on-five scoreless slump earlier this season, it did weigh on him as it wore on. However, after scoring eight of his 11 goals this week on five-on-five, Laine feels more confident than ever, but credits his new linemates’ Bryan Little and Kyle Connor for much of his success. Much of Laine’s success has been with his recent chemistry with Little. The two struggled connecting for the past two years, especially last season. Those five-on-five struggles disappeared after the team added Paul Stastny at the trade deadline, but the Laine and Little finally seem to have found that connection this year. D Quinn Hughes, Michigan (VAN): Hughes very nearly signed his first pro contract with the Vancouver Canucks this summer before deciding to return to Michigan. The seventh overall pick back in June, Hughes was the second defenseman off the board behind top pick Rasmus Dahlin, and many even saw No. 7 as being a steal for Vancouver. An electric skater who can’t help but draw the eyes of spectators as he moves effortlessly around the ice, Hughes pairs his skating ability with the vision and positioning that makes him a threat in all three zones. Hughes also has an NCAA season under his belt already and should be even more prepared to dominate opponents this season. Hughes is a complete two-way defenseman and the centerpiece of a Wolverines team that was a Frozen Four finalist last year. Hughes himself could be eyeing the Hobey Baker Award this season. Michigan almost had Hughes’ younger brother and presumptive top 2019 pick Jack Hughes joining them this season, before he decided to stick with the U.S. National Development Program for another year before almost certainly turning pro. F Oliver Wahlstrom, Boston College (NYI): Perhaps the most gifted goal scorer of the 2018 draft class, Wahlstrom was a late addition to BC’s freshman class, changing his commitment from Harvard, and the Eagles could not be happier. Wahlstrom is a rare combination of both high-end skill and hard-nosed play who dominated with the U.S. National Development Program last year. The right winger has had the attention of scouts for his puck-handling ability since he was nine years old, but as he’s grown up he has also filled out his frame and added a menacing physical element to his game. Wahlstrom can skate and possess the puck as well as anyone, but is even more of a threat as the go-to shooter, which he will be skating with a roster of play-makers up front for BC. Wahlstrom could be the next big NHL power forward and may very well be one-and-done in the NCAA if he continues to score at a torrid pace this year and force the hand of the rebuilding New York Islanders, who selected him with the eleventh pick this past year. F Joel Farabee, Boston Univ. (PHI): Wahlstrom’s teammate with the U.S. National Development program last season, Farabee was the one feeding Wahlstrom most of the time with 43 assists to his linemate’s 48 goals. Farabee is now a cross-town rival of Wahlstrom’s as he joins the uber-talented BU Terriers. Farabee is a threatening presence in the offensive zone, but is even more dangerous due to his two-way ability. An extremely intelligent winger who is beyond his years in terms of decision-making and positioning, Farabee is as responsible a freshman forward as you can find in the NCAA. He may not light up the score sheet right away this year, but will no doubt make a difference for the title-chasing Terriers. Farabee’s style bodes well for an NHL career in Philadelphia, after the Flyers used the No. 14 pick on him in June. F Jay O’Brien, Providence (PHI): Some considered it a reach when the Flyers used their second first-round pick on O’Brien, another college-bound forward and one who was coming from the prep school ranks with Thayer Academy. However, the 19th overall pick more than earned his draft slot after scoring 80 points in 30 games while also displaying an impressive two-way game. O’Brien now bring his talents to Providence, a program that lost their top two scorers from last season and are looking for their next star forward. O’Brien could emerge as both the top scoring threat and dependable defensive forward for the Friars in his first collegiate season. O’Brien is also ready to take on Hockey East competition with a gritty games that all Philly and Providence fans will appreciate. D Cale Makar, UMass (COL): Few will argue that Makar isn’t the best prospect in the NCAA, if not the best drafted player not playing in the NHL. The smooth-skating defenseman was the fourth overall pick in 2017 by the Colorado and would be skating on the Avs’ top pair right now if he had not committed himself to Amherst and to entering the pros as well-rounded as possible. Makar possesses elite puck-handling skills and vision and can out-skate almost anyone in the college ranks. Makar should improve upon his 21 points in an up-and-down freshman campaign and could flirt with point-per-game production from the blue line. The newly-named UMass captain, along with talented fellow defenseman Mario Ferraro (SJS) and top forward John Leonard (SJ) have the Minutemen thinking NCAA Tournament for the first time in years, while Makar could easily be a Hobey Baker candidate. G Jake Oettinger, Boston Univ. (DAL): Oettinger nearly turned pro this off-season, but returns to BU with his sights set on backstopping the team to a national championship. A first-round pick at No. 26 in 2017, Oettinger was selected by the Dallas Stars with the expectations that he would be the heir apparent in net. Even with the emergence of Colton Point, the Dallas job is still there for the taking. The team’s veteran duo of Ben Bishop and Anton Khudobin won’t be around forever and Oettinger could conceivably compete for starts as early as 2020. Expect the big goaltender to put up stellar numbers behind a deep Terrier defense this season before joining the pro ranks next year. F Ryan Poehling, St. Cloud (MTL): Poehling was drafted for his intelligent, professional, two-way style and Montreal hoped he would develop into a capable bottom-six center. However, they have to be pleased with the improvement in his offense, after he registered 31 points in 36 games for a St. Cloud team that was top seed in the NCAA Tournament. Poehling lacks the high-end skill of other first-round prospects, but the 2017 No. 25 pick makes up for his skating and hands with positioning and composure. Poehling should again improve this season while maintaining his elite defensive play and could be in the running for the Hobey Baker Award, especially if the Huskies are dominant yet again. The Canadiens prospect should then compete for a roster spot right away next season. F Josh Norris, Michigan (OTT): The recent centerpiece prospect of the Erik Karlsson trade, a lot of eyes in Ottawa will be on the performance of Norris this season. The entire top line of the Michigan Wolverines’ Final Four roster has moved on to the pros, leaving Norris as the team’s top center. The No. 19 pick in 2017 by the San Jose Sharks, Norris is a freak athlete who can hold his own against anyone in the NCAA. The Senators’ new addition also has a deceptively quick release on his shot and is deadly accurate with both passing and shooting. Norris simply needs to embrace his role for Michigan, both carrying the puck and shooting more often. Some more experience, specifically as the team’s top scoring option, should go a long way for the promising center’s development. F Shane Bowers, Boston Univ. (COL): Of course, who can forget the top center prospect that Ottawa recently traded away themselves. Bowers, part of the regrettable package that the Senators sent to the Colorado Avalanche for Matt Duchene, is set to be the go-to guy up front for BU this season. Bowers’ 32 points in 40 games last season ranked third last season for the Terriers, but with Jordan Greenway and Brady Tkachuk now gone, Bowers should be the top option and could be a dark horse Hobey Baker candidate on a talented BU team that should provide plenty of scoring chances. Bowers is quick-thinking and quick-skating offensive presence who is especially dangerous on the power play and works the puck down low perhaps better than anyone in the college ranks. A breakout campaign for Bowers should give the 2017 No. 28 pick an opportunity to compete for a spot among the Avs’ young forward corps next year. D Adam Fox, Harvard (CAR): Fox, entering his junior year with the Harvard Crimson, has already seen his NHL rights traded. Fox had allegedly expressed a resistance to signing with the Calgary Flames, but so far no such sentiment has been associated with his new team, the Carolina Hurricanes. Fox is a mature, intelligent defender who has been a point-per-game player in college and especially excels as a power play quarterback. However, Fox is more than capable on the back end as well. Assuming he is yet again producing a Hobey Baker campaign for Harvard this year, Fox seems like a prime candidate for a late-season contract and brief tryout with the Hurricanes. Carolina’s depth on defense may block him from being a full time NHLer for a few years, but when Fox finally does land that job, he has the complete game to be a dangerous presence on any blue line. D Ben Brinkman, Minnesota: If there is one thing that the 2018-19 NCAA class lacks, it is many standout draft-eligible prospects. Brinkman alone is a candidate for early selection next June, but the Minnesota native is a surefire first-rounder. The Gophers have rarely given a true freshman defenseman the role and minutes expected of Brinkman this season, but the teen blue liner is a special talent. A smooth skater who excels with the puck on his stick, it will be no surprise to see Brinkman frequently carry the puck up and start the rush for Minnesota and he should see ample power play time as well. Brinkman is no slouch in his own zone either, as he plays a competent game that allowed him to shut down high school competition. The adjustment to the college level will come with some lumps for the young defenseman, but Brinkman should emerge from this season as a bona fide NHL prospect. With the NHL season now just underway, we continue our look at what each team has done this summer and what to watch for in the year to come. Next up is a look at the Boston Bruins. Player To Watch: F Ryan Donato – Rookie forward Donato made his NHL debut last year in the midst of a season most only dream of. Donato wrapped up a stellar collegiate career with Harvard University by leading the NCAA in goals per game with 26 tallies – and 43 points – in 29 games. The effort made Donato a finalist for the Hobey Baker Award, given to the top player in college hockey. Donato also starred for his country, playing a major role for Team USA at the Winter Olympics where, again, he led the tournament in goals per game, potting five in six contests. He then stepped right into the NHL, notching five goals and four assists in 12 regular season games down the stretch and even skating in three playoff games. After such an impressive campaign, the question now is can he keep it up? The ceiling for Donato is clear: as a supremely talented shooter and intelligent offensive player, Donato is able to seamlessly transition into a regular scoring role on a skilled Boston lineup. Donato is currently skating on the off-wing, something he did little of in college, on the Bruins’ second line with veteran center David Krejci and impressive sophomore winger Jake DeBrusk. He’s also been tasked with first unit power play work, getting to share the ice with the NHL’s best line of Patrice Bergeron, Brad Marchand, and David Pastrnak. If he adjusts well to this role, Donato could be looking at 30+ goals and not only in the conversation for the Calder Trophy, but perhaps the favorite. However, the floor for Donato is also apparent. The Bruins have recently seen what can happen when a talented offensive player with a knack for putting the puck in the net during his developmental years fails to transition that ability to the NHL. Frank Vatrano, traded late last year to the Florida Panthers, was a goal-scoring phenom in the AHL and was expected to take over a top-nine role last season, only to struggle with scoring, too often get exposed defensively, take too many bad penalties, and ultimately end up as an extra skater later jettisoned away. While Donato is a far superior prospect to Vatrano and is in no way at risk of being dealt, his rookie year could go similarly to Vatrano’s final season in Boston. The Bruins ask all of their forwards to play a responsible, two-way, forechecking game. Donato is still developing those skills and, if he isn’t scoring enough on the second line, could find it hard to get play time in the bottom-six. Danton Heinen and Anders Bjork already have a pro experience, and more importantly two-way IQ, to their credit and could push Donato for an opportunity in the top-six or even force him out of the lineup entirely. The Bruins also have their eye on a Stanley Cup this year and could seek to replace a disappointing Donato via trade if it comes to that down the line. It says a lot that the Bruins let several middle-six free agent forwards walk without finding viable replacements this off-season, as they clearly trust Donato, as well as DeBrusk, Heinen, Bjork, and other options in the AHL, to be reliable NHL scorers. Already, through just three games, secondary scoring has been an issue for Boston and Donato needs to prove management right that he is ready to take on his current role. The Bruins’ season rests with the ability of their young forwards to continue improving and provide stable secondary scoring. Of that group, Donato is the most important, having been handed the second-line opening early on, and bears watching all season long. Key Storyline: For much of last season, the Boston Bruins were neck-and-neck with the Tampa Bay Lightning for the top spot in both the division and the conference and at times even the league’s best record. Boston ended up only one point behind the Bolts in the final standings and then fell to their foes in the second round of the playoffs. Part of the reason that Tampa was able to relatively easily dispatch the Bruins: their trade deadline additions of Ryan McDonagh and J.T. Miller, both of whom remain on the team moving forward. The Bruins added Rick Nash, who was a good fit while healthy but a bust overall, as well as several depth pieces. None of those players are donning the black and gold this year. Then, this off-season the Toronto Maple Leafs, who finished third behind the Bruins in the division last season and proved to be a difficult first round opponent, landed the biggest fish in free agency, superstar center John Tavares. The Bruins were in on Tavares as well, but after they missed out, opted not to pursue any other prominent free agent scorers. The Atlantic Division has improved right before the Bruins’ eyes, with many calling the Lightning and Leafs favorites not only to win the division, but the Stanley Cup. And that isn’t even considering the improvements made by the Florida Panthers and Buffalo Sabres as well. Meanwhile, Boston continues to rely on their current core and the young players they have shuffled into the lineup. Without many noticeable external improvements – outside of a top backup goaltender in Jaroslav Halak and a reliable, versatile defenseman in John Moore – can the Bruins keep up? Is this team as good as the patient front office thinks they are? Overall Outlook: The answer, of course, is yes. This Bruins team is great. Ignore an ugly opening night loss to the banner ceremony-fueled Washington Capitals and Boston still enters the season with some of the highest expectations in the NHL. The best line in the league is supported by young, exciting scoring forwards, dependable veterans like Krejci and David Backes, and several capable fourth line options. The defense is anchored by a legend in Zdeno Chara and a wunderkind in Charlie McAvoy, not to mention offensive dynamo Torey Krug and young Brandon Carlo. Tuukka Rask and Halak could also prove to be the best goalie tandem in the league and not a stretch as Jennings Trophy favorites behind a possession-dominant, defensively responsible lineup. Not to mention, the Bruins have ample cap space and will almost assuredly be a top suitor come trade deadline time. Yes, the Bruins are great. But is “great” enough in a division that is stacked at the top with arguably three of the NHL’s top five teams? Or to make it out of the Eastern Conference, which features the past three Cup winners in the Capitals and Pittsburgh Penguins? With the NHL season now less than a week away, we continue our look at what each team has done this summer and what to watch for in the year to come. Next up is a look at the Dallas Stars. Key Additions: F Blake Comeau (free agent, Colorado), F Erik Condra (free agent, Tampa Bay), D Joel Hanley (free agent, Arizona), G Anton Khudobin (free agent, Boston), F Michael Mersch (free agent, Los Angeles), D Roman Polak (free agent, Toronto). 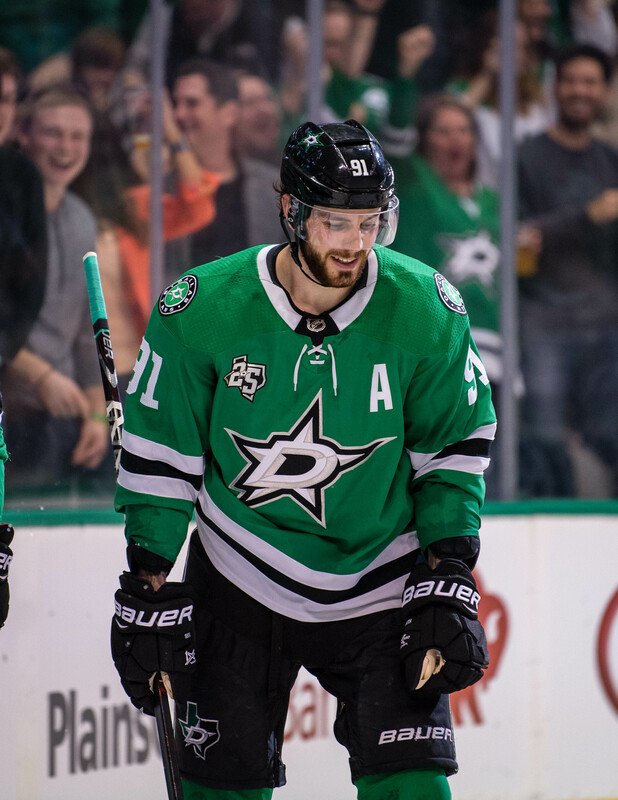 Player To Watch: F Tyler Seguin — The Stars have placed all their faith in Seguin to lead the team to the playoffs and beyond this summer when they signed the 26-year-old to an eight-year, $78.8MM extension this summer. 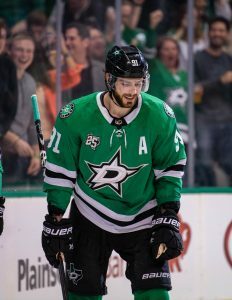 While that $9.85MM AAV doesn’t kick in until the 2019-20 season, the team hopes that Seguin is finally ready to take that next step as an NHL elite player. The center did post a 40-goal season for the first time in his career, but he has only surpassed 80 points once in his career. 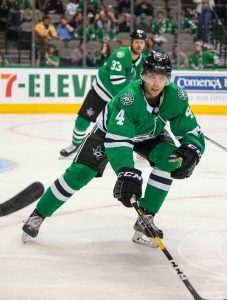 While he is expected to man the top line once again alongside veteran Jamie Benn and Alexander Radulov, the team hopes he can take that next step and be a consistent 80 or 90-point player the team truly needs. Key Storyline: What the team needs more than anything is secondary depth at forward. While the first line was impressive offensively, the remaining lines were the opposite of that as few players stepped up and showed they can score goals. The team had hopes last year that players such as Radek Faksa, Brett Ritchie, Jason Spezza and Martin Hanzal would make up the remaining bulk of the scoring, but none of them did. While Faksa’s defensive game took big strides, he still posted just 33 points last season. Ritchie was even worse, posting just seven goals and 14 points. Spezza’s game went down as well, going from 50 points in 2016-17 to 26 points last year, while Hanzal struggled with injuries all season. This year, the team has hopes that they can get a solid return from 23-year-old Valeri Nichushkin, who played the last two years in the KHL, and now returns. They still hope Spezza can bounce back, while the team has high hopes that Mattias Janmark, Faksa, Tyler Pitlick and Comeau can increase that scoring. Whether that will happen is questionable as Nichushkin put up very pedestrian numbers in the KHL while he was away, so assuming he posts big numbers seems unlikely, while the 35-year-old Spezza will have to prove that the game hasn’t passed him by. Overall Outlook: While the goaltending seems to be more solidified as the team replaced backup Kari Lehtonen with Khudobin, who should be a better stopgap if starter Ben Bishop goes down with another inconvenient injury and a much stronger defense with the addition of 19-year-old Miro Heiskanen and a more confident Julius Honka, the team has a solid defense behind him. Add in a new coach in Jim Montgomery, the team has a lot of promise, but where that offense will come from is a question that the team will have to prove if they have any chance in competing in a very competitive Central Division. The Dallas Stars have been deep in talks with the Ottawa Senators for the right to trade for Erik Karlsson this offseason, although negotiations seems to have died down after Ottawa supposedly insisted on Dallas including top defensive prospect Miro Heiskanen in the deal. However, Dallas, who has been rather quiet this offseason looks to be still working the phones on adding talent through the trade market, according to NHL.com’s Mark Stepneski. The scribe writes that general manager Jim Nill said in an interview that he is still talking to teams about potential trades. Nill has said that he likes the team, which has added former first-rounder Valeri Nichushkin, Heiskanen, Blake Comeau and backup goaltender Anton Khudobin. However, with many big names still available in trades, it wouldn’t be surprising if Dallas was looking to make one more big move. The Hockey Writers’ Mark Scheig writes that if the Columbus Blue Jackets must part with Artemi Panarin, the team will likely have to look in their own organization for a potential replacement player who can take that next step on offense for them — namely Sonny Milano. While a year ago, the fans were ready to move on from the prospect after two long years in Cleveland with the AHL, Milano is the team’s best left wing offensive talent who could step in and replace Panarin. However, the scribe writes that the problem is that his defense has been holding him back, but if Milano shows that he can improve on that aspect of his game, he might thrive in a top-six role. The 22-year-old averaged just 11:39 ATOI per game last year and still managed to score 14 goals. If he could find better minutes, he might be the breakout player many thought he would be years ago. Khudobin is coming off one of the best seasons of his career where he posted a 2.56 GAA with a .913 SV% in 31 appearances for the Bruins. Despite that, he was unable to come to terms on a new deal in Boston despite reportedly being just $150K apart in negotiations. The 32-year-old will replace Kari Lehtonen as the backup to veteran starter Ben Bishop. Considering that Bishop had trouble staying healthy down the stretch, it’s no surprise that GM Jim Nill targeted another goalie that can play more than 15-20 games per season as they will certainly benefit from having that insurance if he gets injured again. While center Derek Ryan won’t be returning to Carolina, he will have quite a few teams to choose from. TSN’s Frank Seravalli reports (Twitter link) that he has a pair of multi-year offers on the table, one from Calgary and another from an unidentified Central Division team. He adds that Detroit, Columbus, and Toronto have all expressed interest as well. Meanwhile, Michael Russo of The Athletic notes (subscription required) that the Wild are also interested but doesn’t specify if they have an offer on the table for him just yet. The 31-year-old is coming off of his best NHL season, one that saw him post a respectable 38 points (15-23-38) in 80 games while winning an impressive 56.5% of his faceoffs. He’s still a relatively unknown player with just 153 career NHL games under his belt but he should slot in nicely as a third line pivot with his new team. Ryan ranks 22nd on our Top 50 Free Agents list with a projected contract of two years and $4.8MM. Winger Austin Czarnik has largely flown under the radar but he has received interest from 24 different teams, reports Craig Custance of The Athletic (via Twitter). He adds that a two-year deal with a Western Conference team appears to be the likeliest outcome at this time. The 25-year-old lit up the AHL this past season with 25 goals and 44 assists in 69 games which ranked third overall in league scoring. He also added four assists in ten games with the Bruins. NBC Sports Boston’s Joe Haggerty tweets that the Oilers are among the teams making a push. It doesn’t appear that there is a big gap to bridge between the Bruins and goaltender Anton Khudobin. Igor Eronko of Sport-Express reports (Twitter link) that the two sides were only $150K per year apart on talks. However, it appears that Khudobin, barring a change in the next little while, will go to the open market. TSN’s Darren Dreger tweets that Dallas could make sense as a landing spot. The Blue Jackets have expressed a desire to keep defenseman Ian Cole in the fold, GM Jarmo Kekalainen told reporters, including George Richards of the Columbus Dispatch (Twitter link). However, based on Kekalainen’s comments, it appears that Cole has his sights set elsewhere. The blueliner ranks 16th on our Top 50 Free Agents list but is the number three rearguard behind only Mike Green and Calvin de Haan. While the Bruins had expressed an interest in keeping him, it doesn’t appear that goaltender Anton Khudobin will be sticking around in Boston. GM Don Sweeney told reporters, including Fluto Shinzawa of The Athletic (Twitter link), that he’s not optimistic about their chances of keeping the 32-year-old around. Khudobin is coming off one of the best seasons of his career where he posted a 2.56 GAA with a .913 SV% in 31 appearances for the Bruins. The fact he played as well as he did also allowed the team to keep Tuukka Rask fresher and Boston’s starter responded with his best save percentage in three years. Internally, the Bruins have Zane McIntyre at AHL Providence but he’s likely not ready to step in and make 20-25 starts at the NHL level. As a result, they will likely be active in the free agent goalie market once it opens up on Sunday. Meanwhile, Khudobin will enter a goaltending market that appears to feature more supply than demand. However, considering he has established himself as someone that can play more than a typical workload for a backup, he should still garner some interest on the open market. He’s coming off a $1.2MM contract and in our Top 50 Free Agent rankings (where he sits 26th), we project a small raise to a $1.75MM AAV for the next two years.